ISLAMABAD, Feb 12 (APP):Federal Minister for Communications and postal Services Murad Saeed said Tuesday that Sukkur-Multan Motorway project was awarded without bidding and tendering but former minister for planning and Pakistan Muslim League-Nawaz leader Ahsan Iqbal instead of responding to the documented proofs of corruption against him, was trying to hide behind China-Pakistan Economic Corridor.Speaking after signing of Momentum of Understanding “ Meri Shahrah” for plantation of trees on the Right of Way of national highways and motorway projects, he said that Ahsan Iqbal should answer his questions about Javaid Sadiq, and his role in Sukkur-Multan Motorway project. The Minister said that the cost of Sukkur-Multan Motorway increased from 259 billion to over Rs 300 billion due to corruption and incompetence of Pakistan Muslim League Nawaz government. 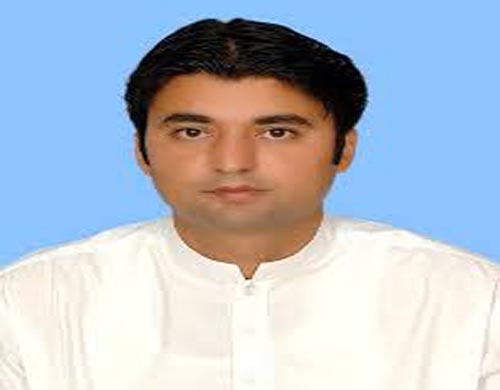 Murad Saeed said that Javaid Sadiq was front man of Nawaz Sharif made the contract with the company working on the project and minutes of the meetings were available. He said he has documentary proofs of all the projects awarded to preferred companies without bidding at higher rates by the previous regime which will be provided to National Accountability Bureau (NAB) during the probe, which has already taken up the case. He said that the PTI government would start new road construction projects in Build-Operate-Transfer (BOT) mode so that finances from the national exchequer could be used in health and education sector projects. He said that the during previous government , former Prime Minister Nawaz Sharif himself was Communication Minister who got the lucrative projects awarded to firms of his choice. He said that the government would expose all those who looted the country. He said that funds of many mega development projects were shifted to Larkana and Sukkur during Pakistan People’s Party government and would soon expose the corruption scams. He said after PTI coming to power, Ministry of Communications made Rs 9.54 million worth recoveries through internal audit of its departments and proper governance. There were no reforms made yet rather, the direction of institutions was improved which helped to achieve milestone of revenue generation. Minister for Communications said that the government had promised to root out corruption from the country and so far it has made recovery worth over Rs 4 billion. Without naming anyone, he said that a PML-N leader from Khyber Pakhtunkhwa has started making hue and cry as Departmental Accounts Committee of Communications Ministry has ordered recovery of Rs 150 million from his firm. He said that he was not a traditional politician and not interested in enjoying perks and privileges and would carry his struggle for expose corruption of previous regimes. He said that as he had ordered special audit of the mega projects of the previous government, he was approached for a deal. About the inauguration of the projects started by the previous government, he said that the all these projects belonged to the state and the PTI government made arrangements for Motorway Police deployment in M-4 Gojara-Shorkot section. To a question he said that he has himself visited the rest areas of motorways and written letters to commissioners for control of overcharging on rest areas of the motorways. He said that Ministry of Climate Change and Ministry of Communications have joined hands for plantation of all national highways and motorways. He said that beautification process of the national highways was being launched. Minister of State for Climate Change Zartaj Gul said Pakistan was most vulnerable country to effects of climate change but in the past no attention was paid towards this sector. She said that now under the vision of Prime Minister Imran Khan, a ten billion trees plantation plan has been initiated. She said that private sector, non-governmental organizations, and civil society would be asked to sponsor these projects. She said a comprehensive plans has been prepared for plantation of suitable projects in various areas. She appealed the media to help make the project a success.